At Aham, our vision is to create world class educational ecosystems within reach of every learner, where he/she can develop his or her own capacity to thrive and excel in ways that will produce a positive contribution to themselves, and to society. To provide a unique, personalized learning experience to the learners by providing them with world-class educators who leverage cutting-edge technology to deliver most relevant instructional content and who use effective teaching strategies in order to create an atmosphere that fosters excellence. To provide an authentic Learner-Centered Environment where instructional strategies incorporate real life experiences as well as tools and technology familiar to learners. Personalization for each Learner and Tutor to cater to their individual needs and to provide interactive experiences. To use technology in such a way that expands access to learning, connects students, engages students in the learning process, and offers a dynamic, interactive educational environment. We are committed to the highest ethical standards. We will always do the right thing. We stand committed to our customers. Learners will always remain our first and foremost priority. We will stay transparent to ourselves and to our customers. We will continue to innovate to provide the best possible experience to our customers. Ajitha Molakalapalli is the founder and CEO of Aham Technologies Inc., an education technology startup doing business as Aham Learning. Ajitha first discovered her personal love of education shortly after graduating college, when she worked as a professor at an engineering college in India. She later went on to work for top technology companies like Sun Microsystems and PayPal. Armed with both her Master’s degree in Computer Science & Engineering and an Executive Leadership Certificate from Cornell University, Ajitha set out to leverage technology to provide more personalized education options for people all over the world. Her passion for teaching, her technical expertise, and her experiences as a teacher, parent, student, technologist, and leader drove her to establish the Aham Learning Hub in 2016 in India. 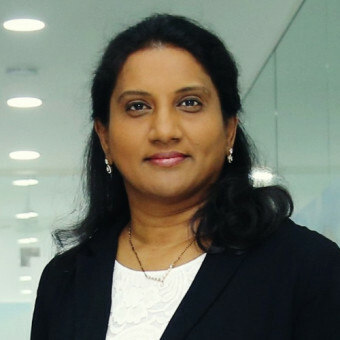 Aham’s success in India led Ajitha to form U.S.-based Aham Technologies Inc. and later strategically connect the two entities.